Sunkhaze / Flewelling Handmade Medium Nickel Plated Hunting Dog Bell. $34.95. "I'm very pleased with my decision." I'm very pleased with my decision. "Finally a dog bell that I can actually hear"
"If your dog loves to wander, then pick one of these up." Good deep ring. My deaf 85 lb Catahoula loves to run in deep cover, and it's much easier to keep track of him with bell. If your dog loves to wander, then pick one of these up. "Good quality, sounds great, and carries well in the deep woods." Good quality, sounds great, and carries well in the deep woods. "Recommend these bell for medium range dogs in brushy areas." 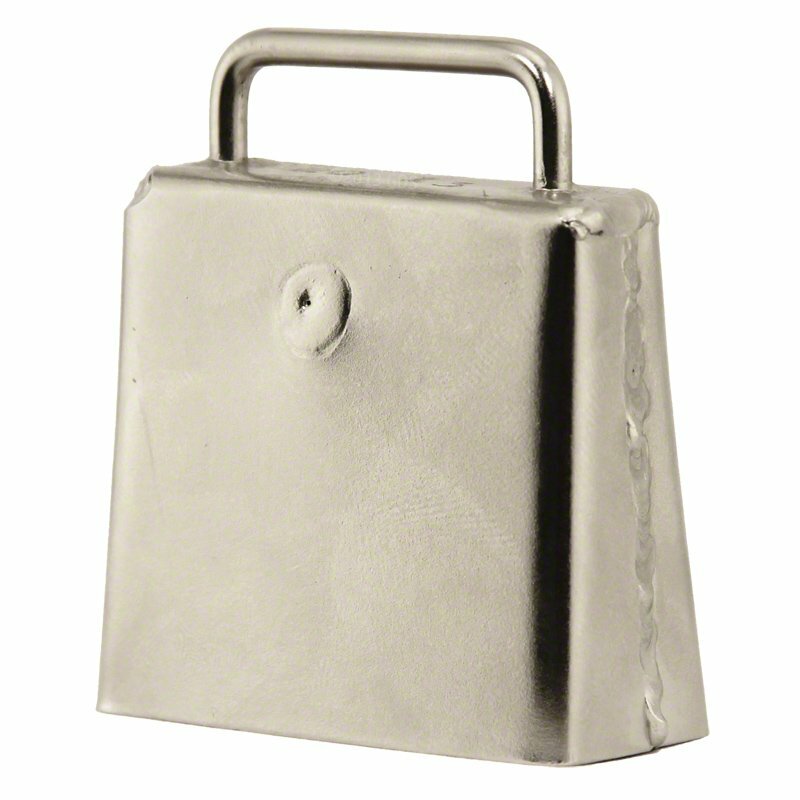 Received two of these bells in timely fashion, and they work really well in medium range. They have a good ring tone and can be heard with ease. Recommend these bell for medium range dogs in brushy areas. I tried the small Bell first and had trouble with direction. This size is lower toned and I could hear this one really well out to close to 100 yards and it always had the direction nailed. Would recommend this bell for sure. If you need a bell you can hear, this is it. I have tried many bells and this is the best if you can get past the price. So loud you can even hear it when she is on point and slightly shakes. Nice and loud even with full leaf! This bell is a good size for a Brittany- not too big. This is my second of this type of bell. I lost the first one in the woods (my fault) and quickly bought another. It's loud and the sound carries. If anyone finds a bell down by the water at Sharps Farm, enjoy it. These bells are handmade and will vary in appearance. Bells can be attached to a 1" or 3/4" strap.